The Covered Wagon comes to Blu-ray and DVD on February 20, with and features a Wurlitzer organ score by the great silent film composer Gaylord Carter. Special features include an audio commentary by film historian Toby Roan, a booklet essay by film scholar Matt Hauske, and "The Pie-Covered Wagon", a 1932 one-reel spoof starring Shirley Temple. A great caravan of covered wagons, filled with hearty pioneers and their families and possessions, are waiting for the Spring "jump off" at Westport Landing, now Kansas City. 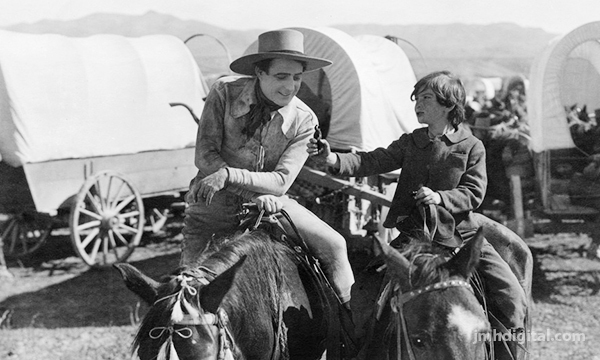 The time is 1848, and the destination is far-off Oregon, in The Covered Wagon (1923), the first big-budget Western epic. Where countless pilgrims fell, a love triangle flourishes, as Molly Wingate (Lois Wilson) must choose between the brutish Sam (Alan Hale) and the dashing Will (J. Warren Kerrigan). Complicating her decision are the perils of the trail: a mile-wide river, prairie fire, heavy snowfall, a buffalo stampede, crippling hunger, and Native American attacks. 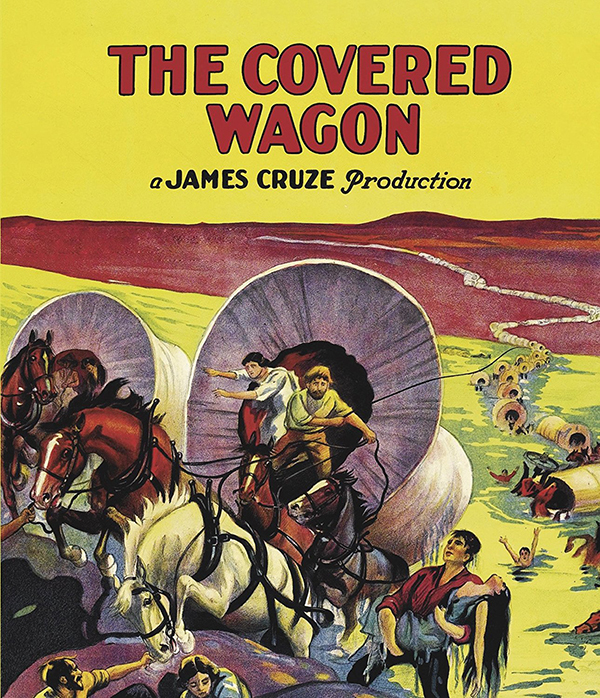 Boasting a cast of thousands and an unparalleled commitment to authenticity, The Covered Wagon was an enormous box-office success in 1923 and became one of the major milestones in the history of the Western.